Please join us for our 12th Annual Celebration as we recognize individuals and organizations who work every day to bring Philadelphia’s parks to life. At this year’s Centennial Celebration, we are thrilled to honor individuals who have demonstrated extraordinary leadership and support for our beloved park system. 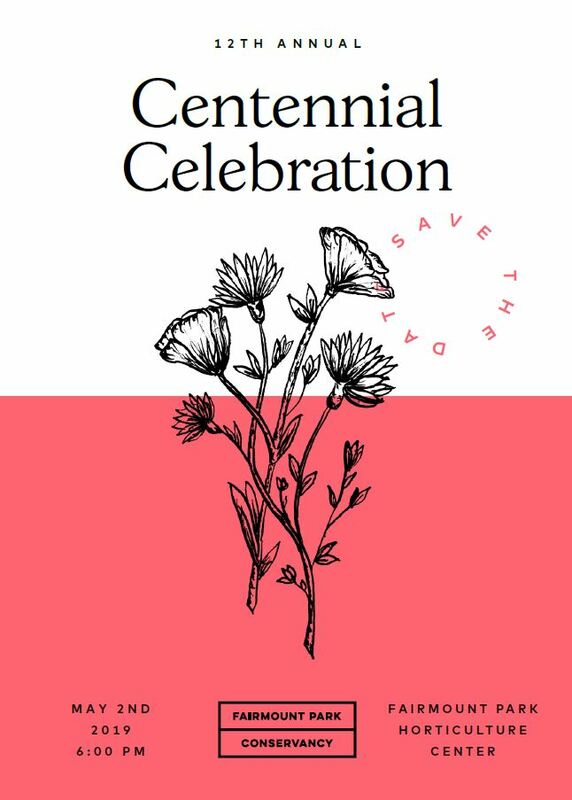 The Centennial Awards are named after the historic 1876 Centennial Exhibition, which was hosted within the boundaries of Fairmount Park and welcomed more than ten million people, establishing Fairmount Park as an international destination. The Awards are presented annually to a Corporate Stewardship honoree and a Civic Leadership honoree. The John Binswanger Park Champion Award was established in 2012 in honor of Fairmount Park Conservancy Founder and Chairman, John Binswanger. The award recognizes individuals who reflect Fairmount Park Conservancy’s purpose to “champion” Philadelphia’s Parks and who demonstrate leadership, generosity, and commitment to transform parks into extraordinary places for safe and healthy recreation. “Park Champions” serve as role models for our city’s youth and share in Fairmount Park Conservancy’s belief that parks can be catalysts for positive change in communities and that better parks make better neighborhoods and ultimately a great city. Through our unique public/private partnership with Philadelphia Parks & Recreation and park stewardship groups throughout the city, the Conservancy works each day to preserve Philadelphia’s green space, promote its cultural heritage, and transform the civic landscape of our city. Your support will directly contribute to our efforts to create and enhance parks that are catalysts for positive change in our city. Click here to learn about available sponsorship opportunities for the Centennial Dinner.